In a traditional Italian Easter meal, families finish their meal with a subtle treat after the pasta and roasted lamb has been passed around. It’s not chocolate eggs that finish the meal, but slices of traditional Easter bread: a braided loaf of egg bread topped with brightly colored hard boiled eggs, resembling a bird nest. Back in your kitchen in North America, how can the SUPERIORE Dual Fuel range make the baking process easy? Starting on the outside, the Dual Fuel ranges come with triple-layered glass doors to ensure the heat stays inside the oven for consistent baking temperature on any of the six rack levels. Moving to the inside, interior lights make checking your bread simple without having to open the door and risk losing heat. And if you have a Panorama window, there is absolutely no reason to open that door! The view is great! SUPERIORE’s exclusive Cool Flow system which generates a flow of cold air from internal fans to help keep exterior surfaces like the oven door, touch knobs and handles cool to the touch. Baking with kids or grandkids in the kitchen? This is feature is perfect to keep small children with wandering hands safe. Finally, the Dual Fuel convection fans ensure even cooking on any rack level, perfect for browning your Easter bread on the outside while cooking through the inside. 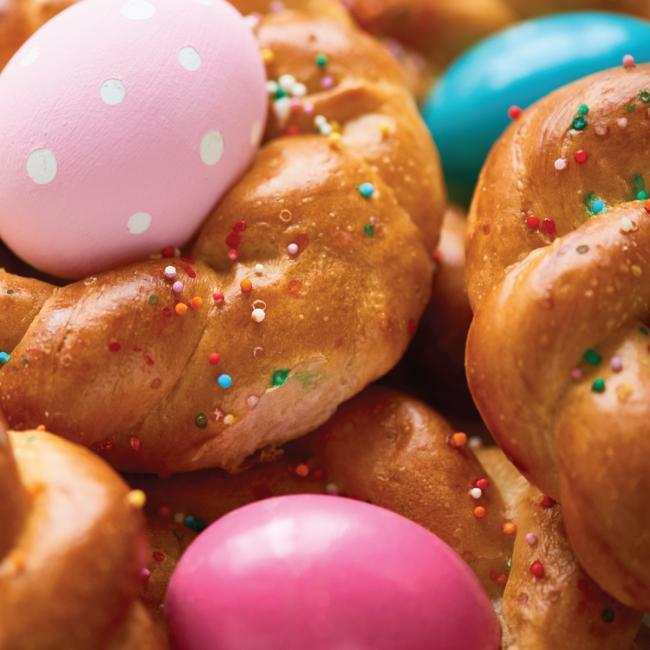 Beyond the glazed ham, add a new tradition to your Easter dinner and recreate this beautiful Italian braided Easter bread to share with your family. Click here to see the full recipe from Bon Appetit, and to find more information on the new SUPERIORE Dual Fuel ranges, watch our YouTube video here.